Glendale Industries Ltd was originally registered by founder, Tony Hewitt, in 1985 as a forestry, tree harvesting and consultancy business. The company progressed into amenity, horticulture and arboriculture following the Local Government Act 1988 which allowed private firms to bid for the provision of council services. In 2014 HRH Princess Alexandra officially opened Glendale Golf’s new clubhouse at Richmond Park Golf Course. 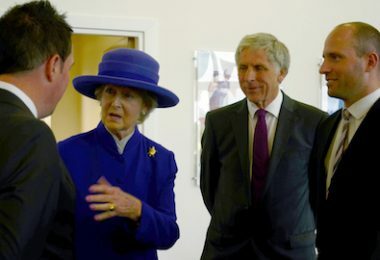 L-R: Jon Dummett, HRH Princess Alexandra, Tony Hewitt and Tom Brooke. In 2015 Glendale secured Gold at Tatton Park Flower Show for the Perennial Legacy Garden in partnership with Perennial, GK Wilson Landscaping and garden designer Paul Hervey-Brookes. L-R: Wayne Grills from BALI, Paul Hervey-Brookes and Tony Hewitt. Tony Hewitt at Parkwood Holdings’ head office in Bamber Bridge in 2013. On January 1st 1990, Glendale started its first grounds maintenance contract with Rugby Borough Council. In the same year, Glendale also commenced its first arboriculture contract with Solihull Metropolitan Borough Council and a grounds maintenance contract with Newcastle-under-Lyme Borough Council, both of which it still runs today. Parkwood Holdings Limited was formed in 1992 based on the early successes and the introduction of a venture-capital partner, Lazard, who purchased a 35% stake in the company. Glendale Industries was the largest subsidiary. The company diversified its council service provision with the introduction of Glendale Leisure in 1995, following the purchase of the Hermes Health and Fitness Club in Taunton. Over the next five years, Glendale Leisure secured contracts for the management of leisure facilities across the country. In 1996, Parkwood Holdings was floated on the main exchange of the London stock market. During 1998, Glendale Industries was renamed Glendale Managed Services and split into four business units: Glendale Grounds Management, handling the company’s grounds maintenance contracts; Glendale Facilities Management, providing building maintenance services; Glendale Leisure, helping local authorities manage their leisure facilities; and Glendale Countryside, handling the company’s arboriculture, forestry and landscaping contracts. The new divisional structure enabled the company to grow and develop within its chosen markets. The Group went digital in 1999, launching its first ever website, and email as a platform for communication followed in 2000. In February 2000, Glendale secured a £28million, ten-year partnership with Lewisham Council, delivering grounds maintenance services in the borough (this became the one-of-a-kind, total care-package for the borough’s green spaces in 2010). Also in 2001, Andrew Holt succeeded Tony Hewitt as chief executive of the Parkwood Group. Andrew joined the Group in 1995 as general manager of Glendale Leisure, subsequently progressing to the position of managing director. He became divisional managing director of Glendale Managed Services in 1998. In 2002, Glendale introduced four more specialist companies to its portfolio: Glendale Golf, Glendale Horticulture, Glendale Green Waste Recycling (soon to become Glendale Recycling) and Glendale Environmental. In the same year, Glendale Leisure, now operating over 26 facilities nationwide, was renamed Parkwood Leisure and separated from the Glendale Group. In 2004, the golf division strengthened its portfolio with the contract to manage London’s prestigious Richmond Park Golf Course. In addition, the green space management division secured a contract with the British Airport Authority. 2005 opened with a series of acquisitions as Glendale diversified into new green markets. The first was green-waste recycling firm Ecological Sciences Ltd (EcoSci), followed by the acquisition of Coblands Nurseries, that firmly established the Glendale Horticulture division. The year also saw Glendale Golf obtain the contract to manage Duxbury Park Golf Course in Chorley; Glendale’s head office subsequently relocated here. The Parkwood Group celebrated 10-years of service delivery in 2006, and Civic Trees, a specialist tree supply, plant and relocation firm was integrated into the Glendale Countryside business, broadening its portfolio of green service solutions. Later that same year, Glendale and Liverpool City Council signed a joint-venture agreement (Glendale Liverpool) to deliver green services across the city until 2018. Further acquisitions followed in 2007 as Glendale expanded its influence in the south west of England and Scotland, with Silvanus Services Limited, Landscape Southwest Limited and Landscape Construction (Scotland) Limited. Parkwood Leisure also acquired private health and fitness clubs in Potters Bar and Hitchen. In late 2008, Glendale underwent a trade demerger forming five autonomous companies: Glendale Grounds Management Limited, Glendale Countryside Limited, Glendale Golf Limited, Glendale Horticulture Limited and Glendale Recycling Limited. Parkwood Project Management and Glendale Environmental merged to form Parkwood Consultancy Services offering specialist project management and environmental consultancy activities. 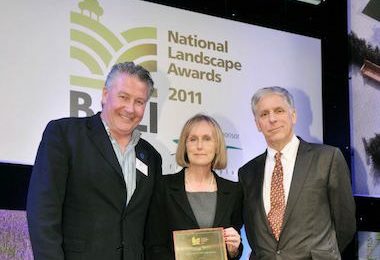 In 2011, Parkwood Holdings Limited delisted from the London stock exchange, retaining over 300 registered shareholders, and Glendale was officially recognised with a British Association of Landscape Industries (BALI) Landscape Award for Employer of the Year. In 2012, former Olympic Gold medalist, Duncan Goodhew MBE, was appointed as chairman and non-executive director of Parkwood Leisure. 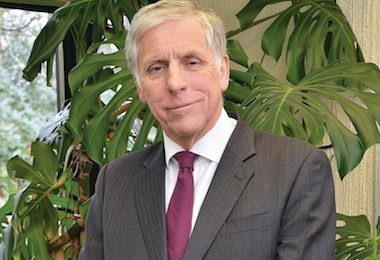 Tony Hewitt continued to hold the position of executive chairman for the Group, and Andrew Holt took over as executive group director. During the summer of 2013, Glendale Horticulture acquired Merediths Nurseries based in Fretherne, Gloucestershire, increasing its presence in the horticulture industry, and Glendale Golf opened the first of two new clubhouses, at Tilgate Forest Golf Centre in Crawley. In May 2014, the minority shareholders of Parkwood Holdings accepted an offer to sell their shares to the Hewitt family. In June of the same year, the group was restructured through a trade demerger which saw the creation of two new holding companies: Parkwood Leisure Holdings Limited and Alston Investments Limited. 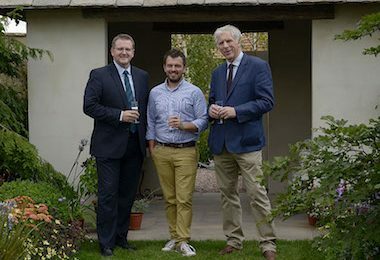 This eventful year also saw Glendale Horticulture acquire a third nursery business, Mahood Nurseries, making Glendale Horticulture a lead player in the UK horticulture market. Glendale Golf officially opened the second of its two, new clubhouses in late 2014. The £2.3million clubhouse at Richmond Park Golf Course received the royal seal of approval from Her Royal Highness Princess Alexandra. 2015 was a year of celebration as Glendale marked its 25th anniversary. 2016 saw Glendale return to Gatwick Airport managing green space around the airport, including 141 hectares of airside grass. It was also in June 2016 that the Group announced the sad passing of Andrew Holt following a period of illness. In 2017, Glendale began refreshing its brand in order to appeal to the private and commercial markets as part of a process of diversification. An integral part of this shift was the introduction of a sales team, including a national sales manager and south-east-based strategic sales and project manager. In the same year, Glendale also received a British Association of Landscape Industries (BALI) National Landscape Award in the community and schools development category for its work to create a community garden in Enfield. In 2018, the Group announced the sudden passing of its founder and chairman Tony Hewitt. As a result, Glendale made a trio of senior promotions following a restructure of its regional operations. Environment, Planning and Design (EPD) is brought into the Glendale group of companies expanding the portfolio of services on offer to clients nationwide.